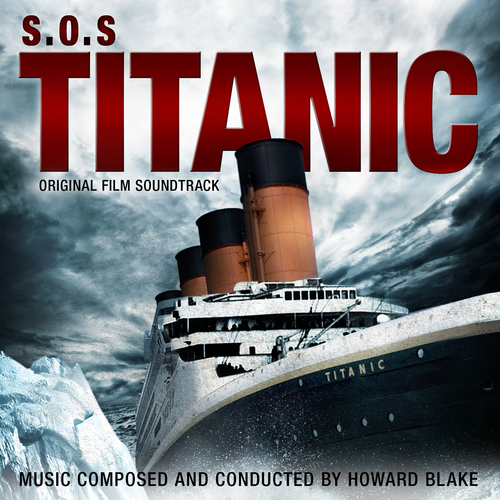 The original TV soundtrack to arguably the most intelligent and authentic version of the Titanic tragedy. The score includes Howard Blake’s symphonic score and a tapestry of historically-correct music that was played on the ship in the last hours. Premiered by ABC on September 23rd 1979, S.O.S Titanic ran for three hours and was the costliest television film ever made. A huge star cast included David Janssen, Helen Mirren, Ian Holm, David Warner, Harry Andrews and Cloris Leachman. The brilliantly-researched script by James Costigan was based on a first-hand account by passenger-survivor Lawrence Beesley. US-based producer Roger Gimbel wanted to use an English composer and had been much impressed by Howard Blake’s score for Ridley Scott’s 'The Duellists'. Apart from the composition of a serious symphonic score there was also the intention to create a tapestry of historically-correct music such as that which would have been heard on the ship. An innovation in the story-telling portrayed the differences between 1st, 2nd and 3rd class passengers and this was also to be reflected in the music - with, for instance, Irish music from the 3rd, songs with piano from the 2nd and a sophisticated orchestra in the 1st. Howard Blake is one of the most popular and prolific living English composers, perhaps best known for his timeless TV score for the animated Channel 4 TV film 'The Snowman' (1982). An instant classic, the song 'Walking in the Air' was perfectly captured by then boy soprano Aled Jones. Blake’s successes include scores which he wrote for films such as 'The Duellists' and 'A Month in the Country', both of which won prizes. He was also Princess Diana’s favourite composer and she commissioned him to write a piano concerto for her 30th Birthday. In 1994 Howard Blake received the O.B.E. for services to music and is Fellow and Visiting Professor of Composition at The Royal Academy of Music. Howard Blake - Isn’t It Grand, Boys? Howard Blake - S.O.S. Come Quickly!